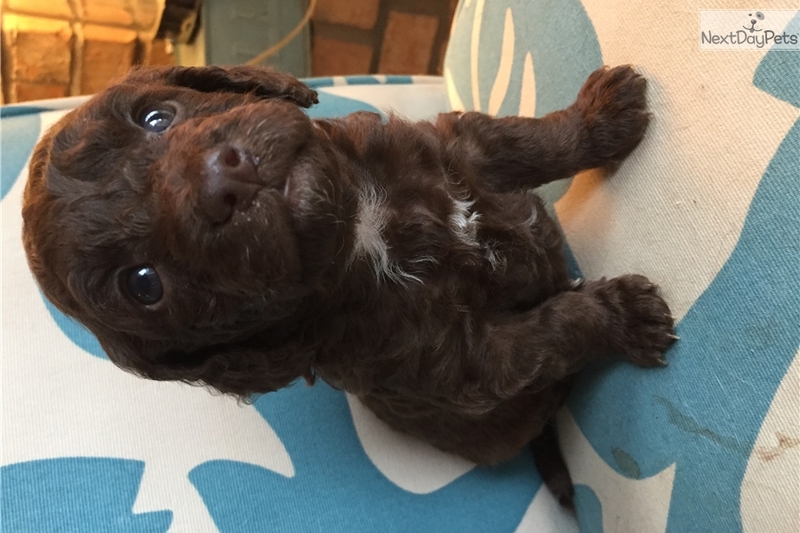 This Cockapoo nicknamed Brownie sold and went to a new family. Second Born! She is chocolate with 2 white socks on her back feet. She is playful and very sweet.